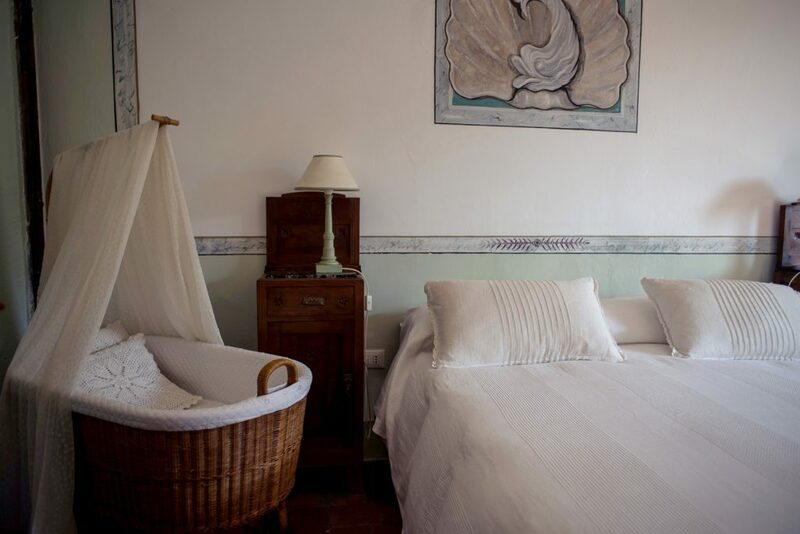 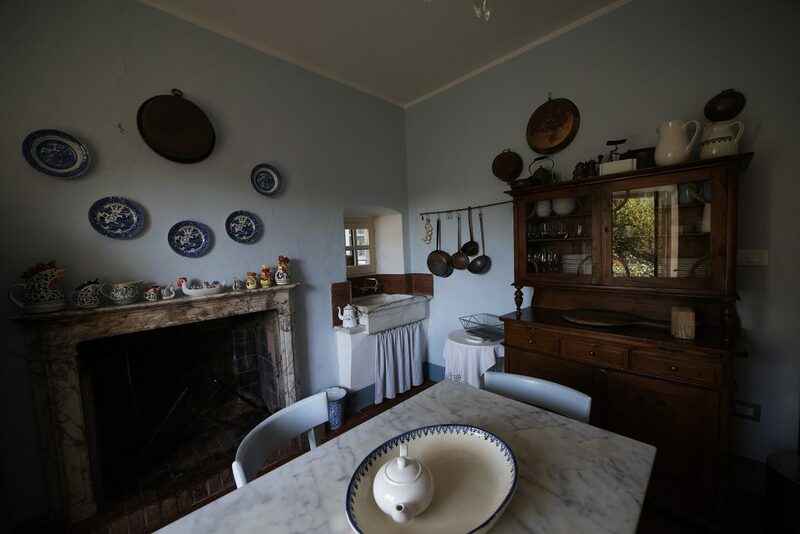 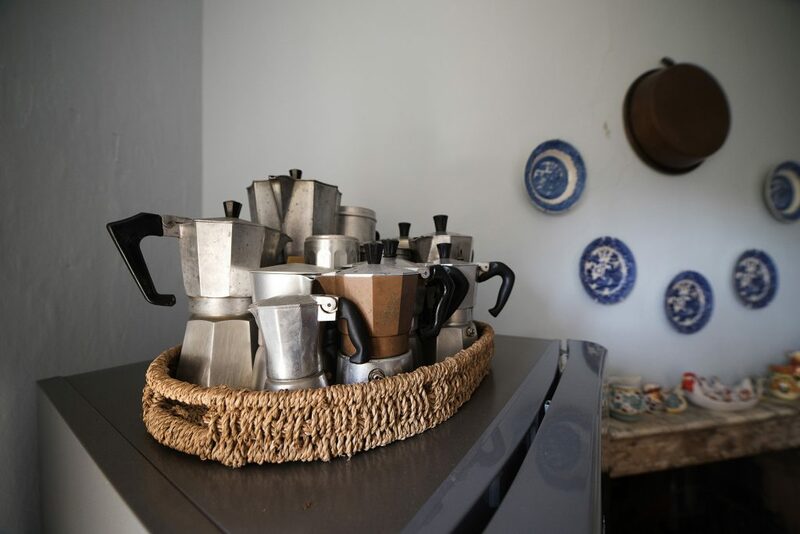 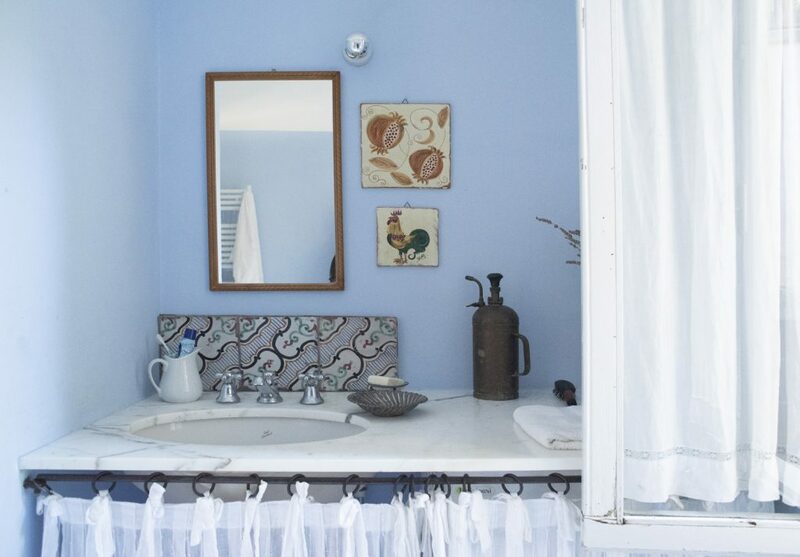 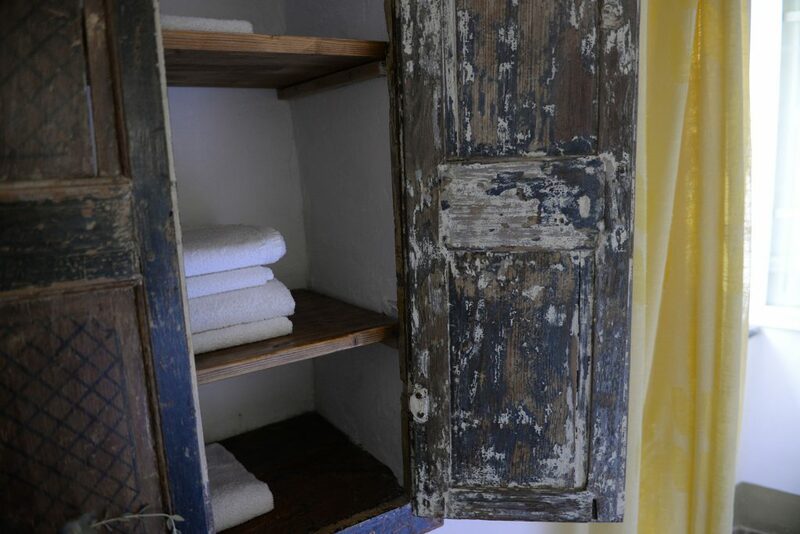 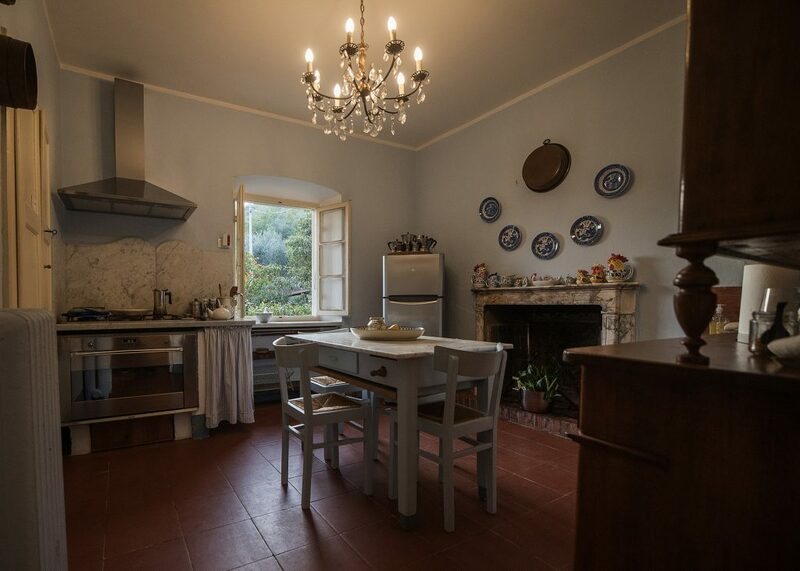 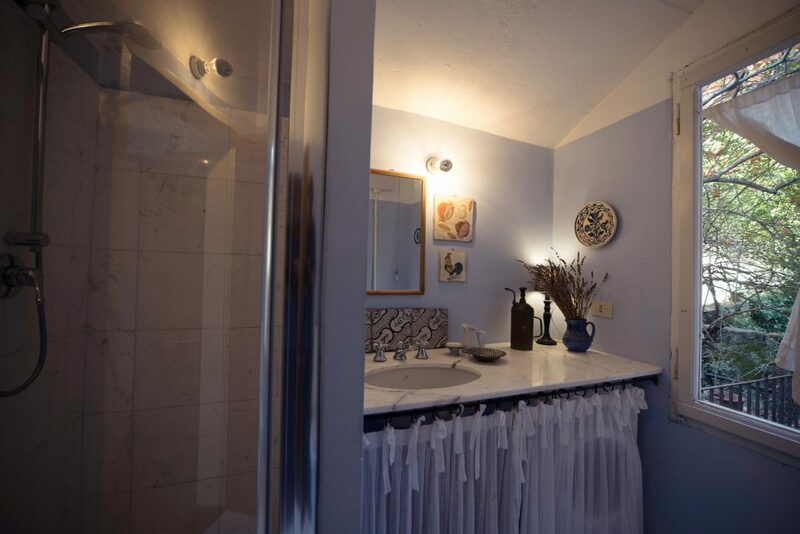 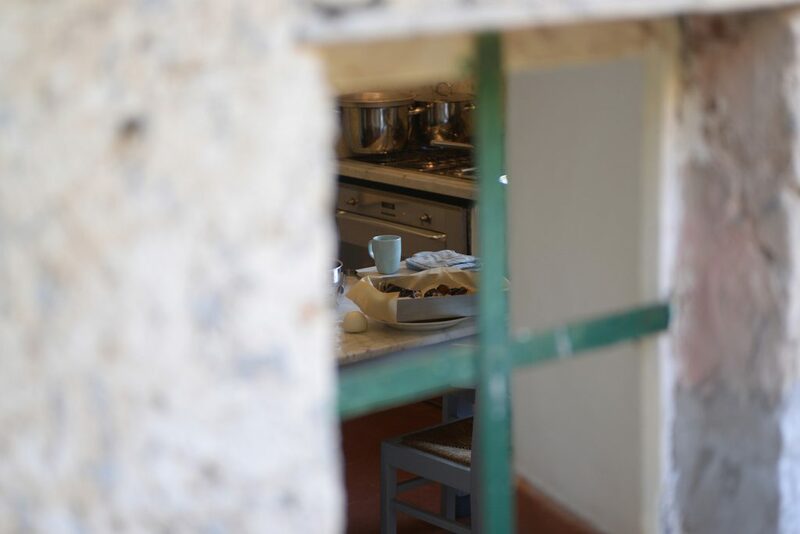 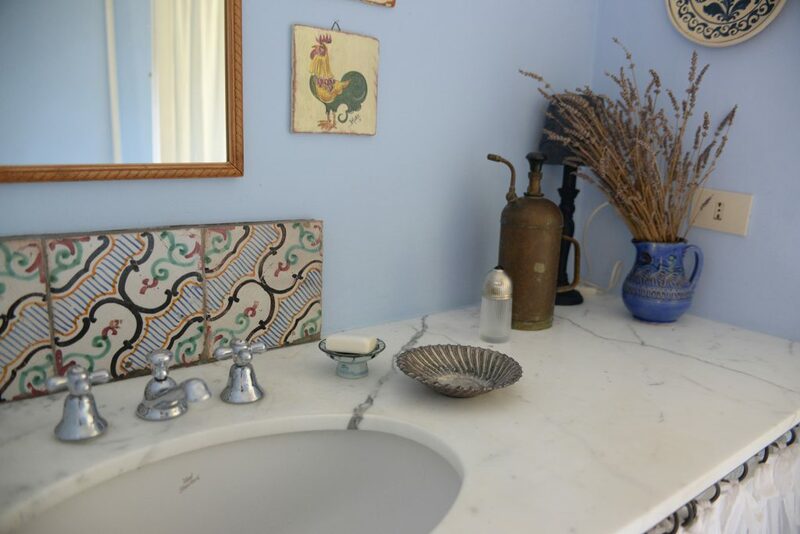 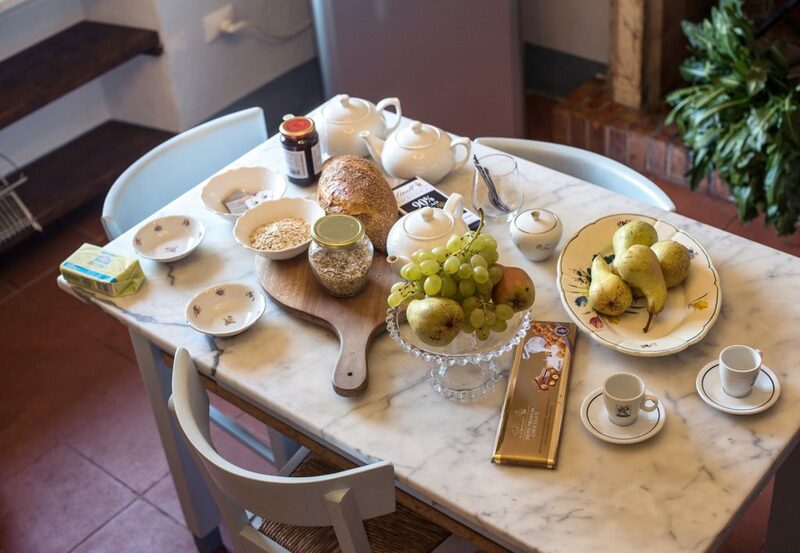 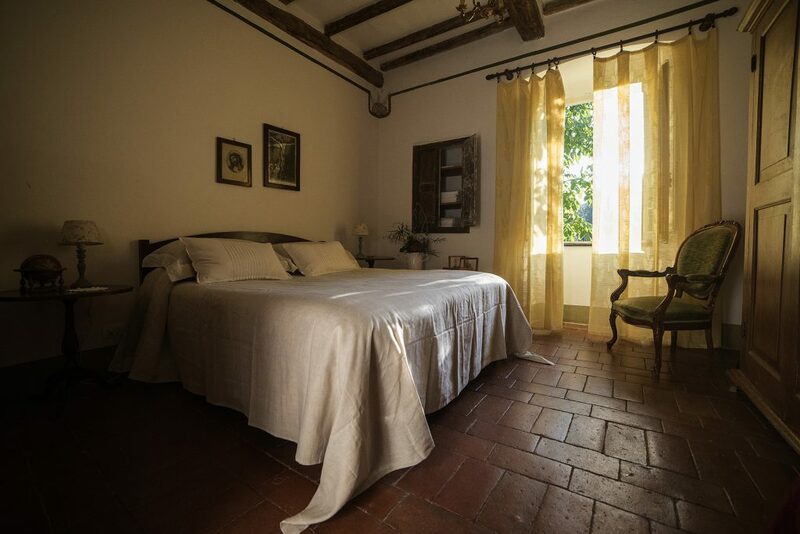 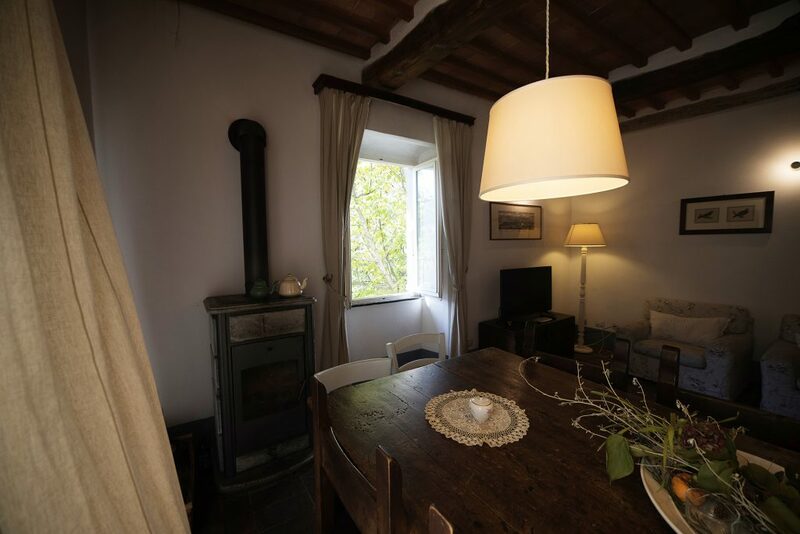 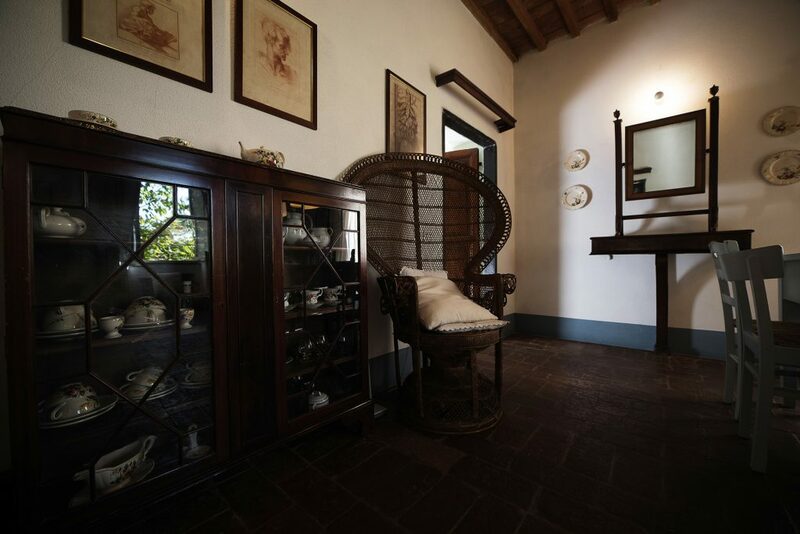 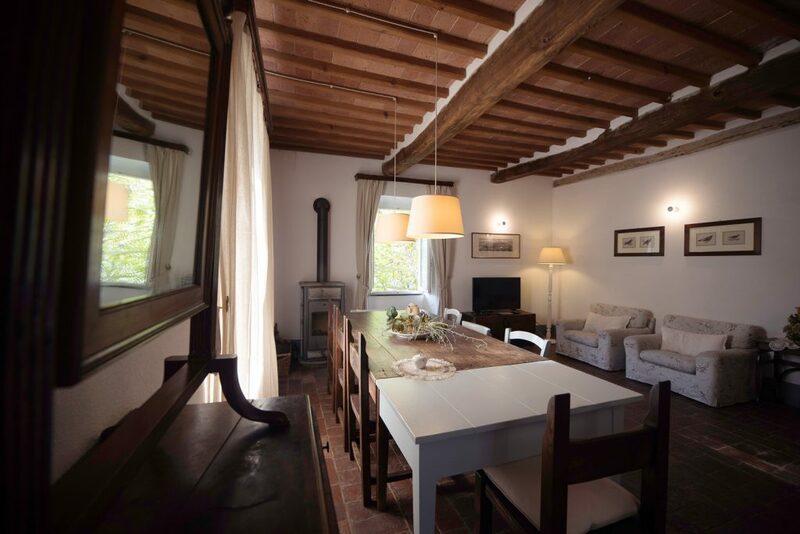 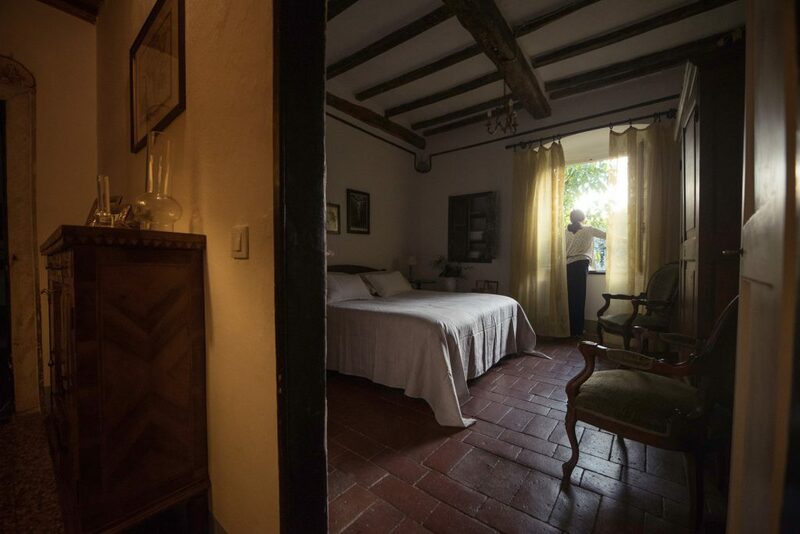 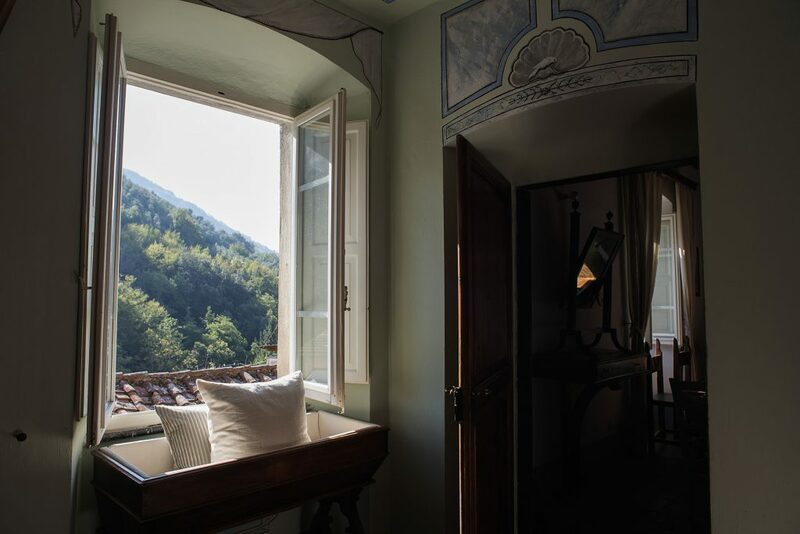 Country-chic atmospheres and a relaxed elegance characterize this comfortable historic farmhouse, where the Marchesa Eloisa Franchina Ingolotti, great-grandmother of the current owners, used to go during the summer. 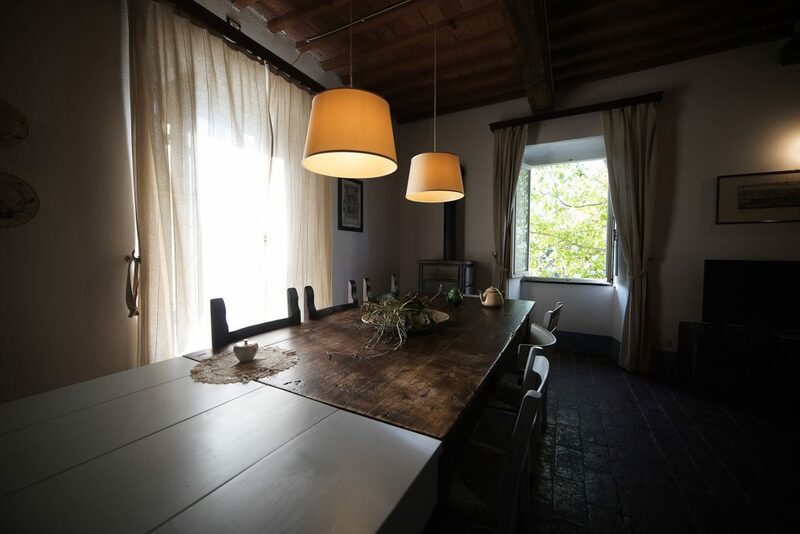 It is a residence about 110 square meters, comfortably hosting up to six people. 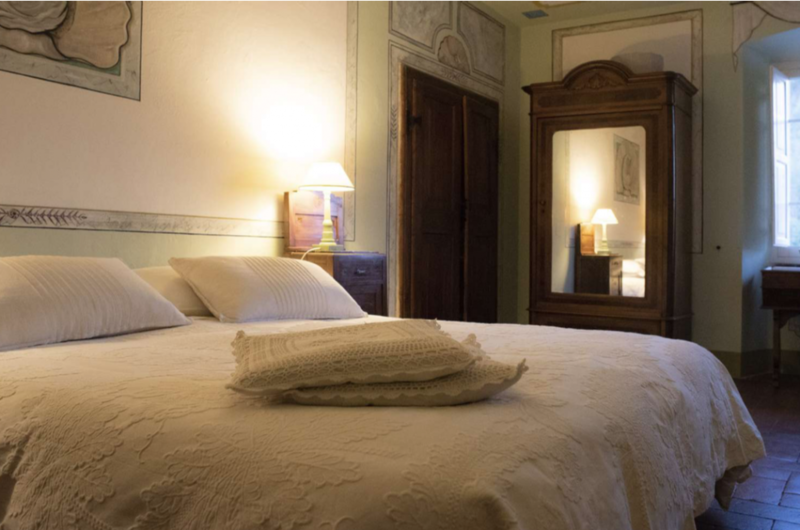 The apartment is divided into two large double bedrooms, a bedroom with two single beds, a lovely marble bathroom with a shower, a large kitchen equipped with a fireplace, an antique marble sink, a large living room with a walnut table dating back to the Eighteenth Century and a beautiful wooden stove. 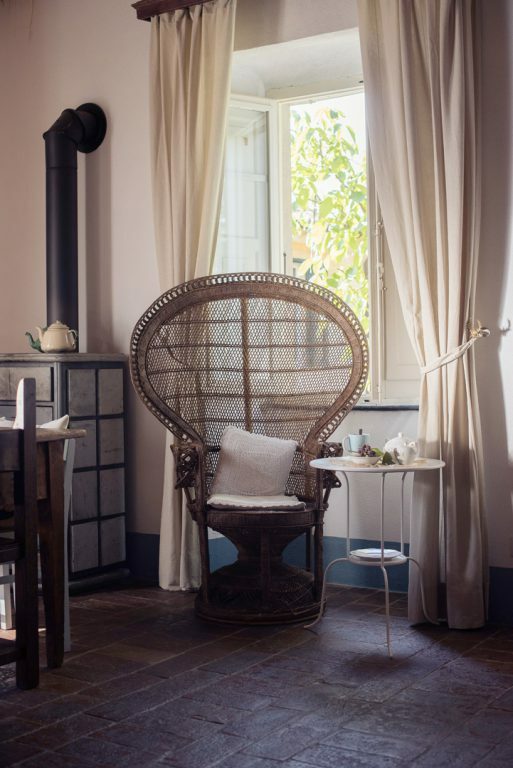 All wrapped up in a relaxed, convivial charming atmosphere. 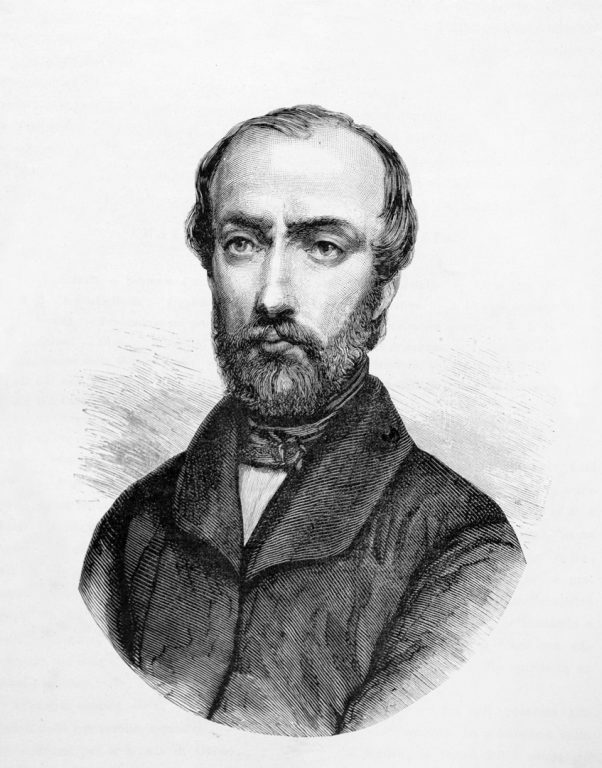 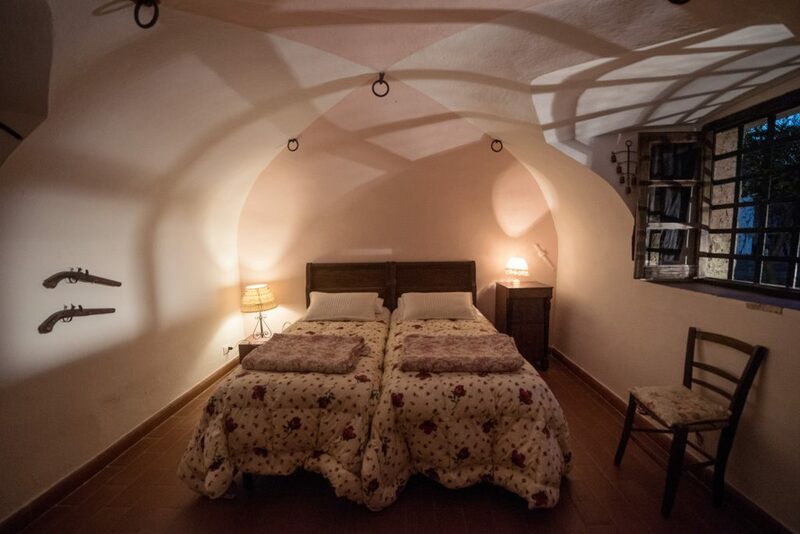 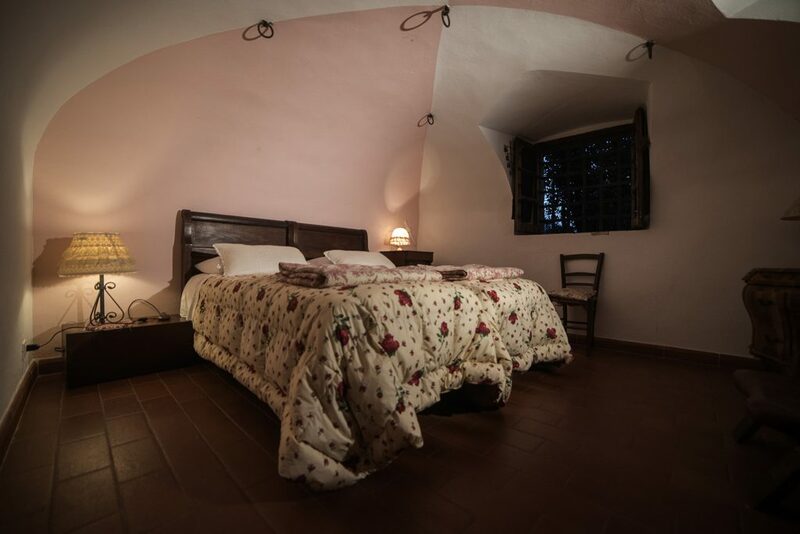 Moreover, one of the bedrooms hides a secret story, since for three nights it hosted an Italian national hero Giuseppe Mazzini (1805-1872) during his getaway from the authorities of the time who had condemned him for his political ideas. 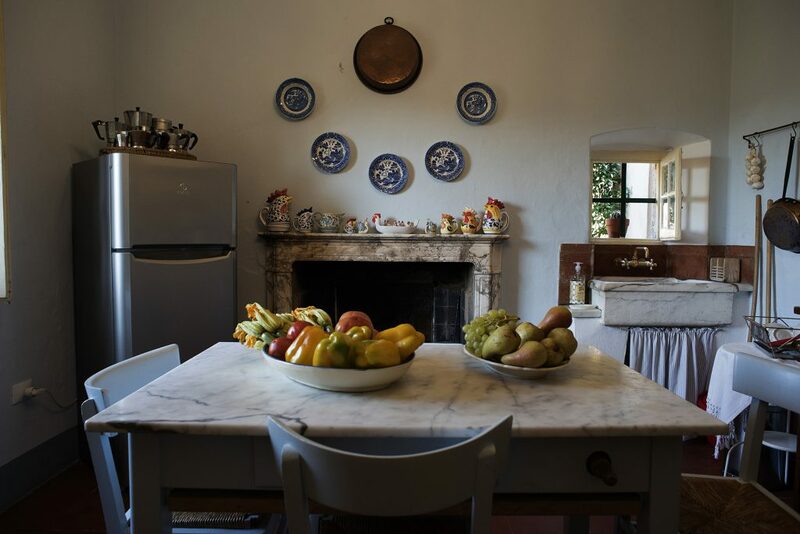 The homes furnishing, authentic and harmonious, brings together vintage furniture, objects with a retro taste and the typical materials of the territory (marble, slate, old terracotta and wood) with all the innovations intended to make the living room a pleasant space: we provide a TV, oven, microwave, washing machine, internet connection and so on. 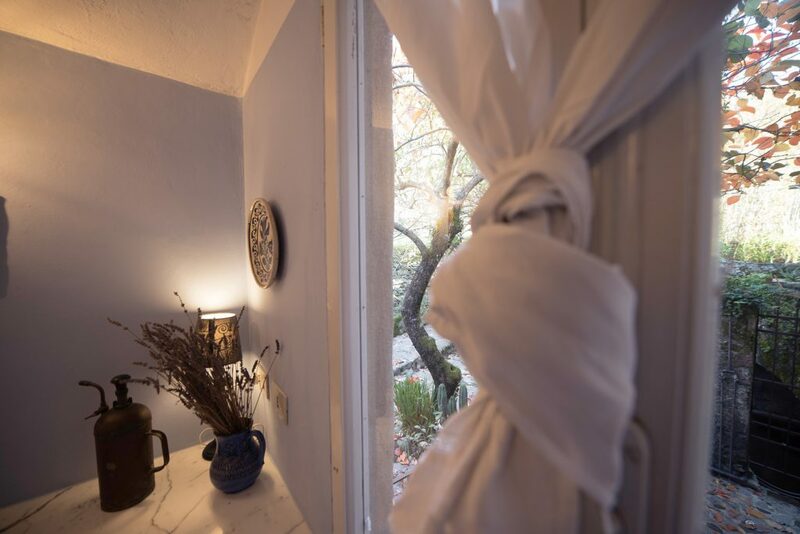 The outdoor areas are all designed to give complete serenity. 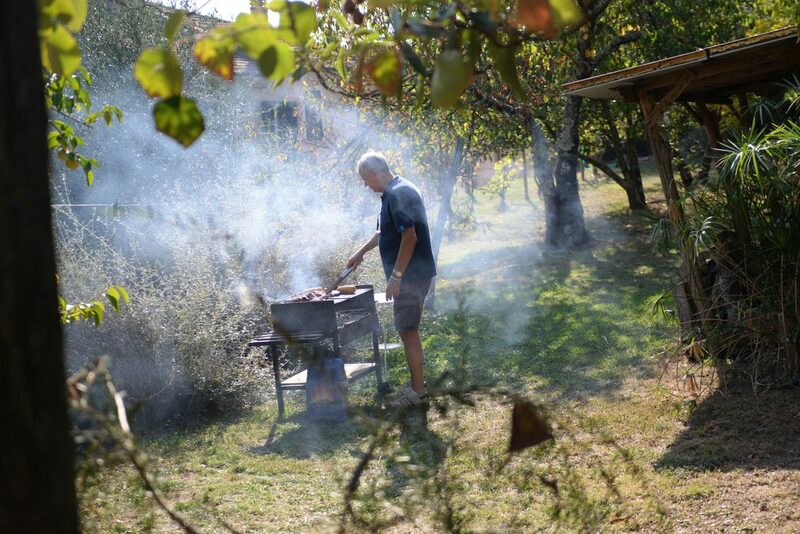 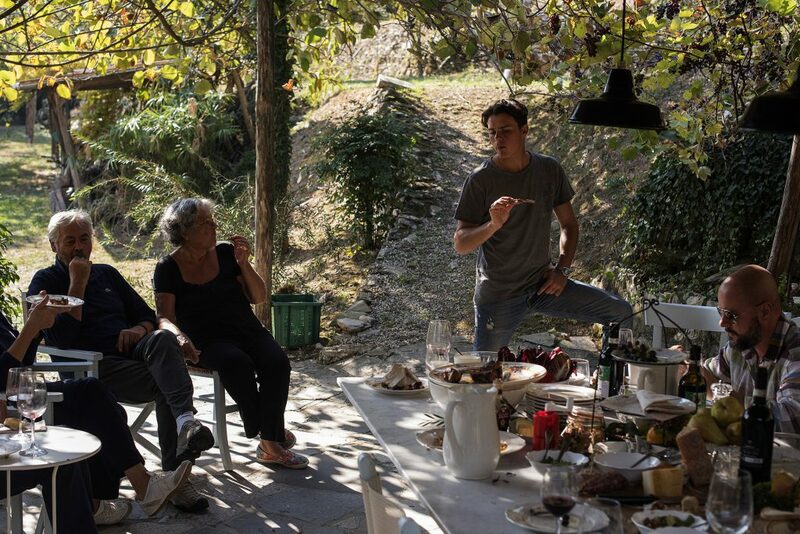 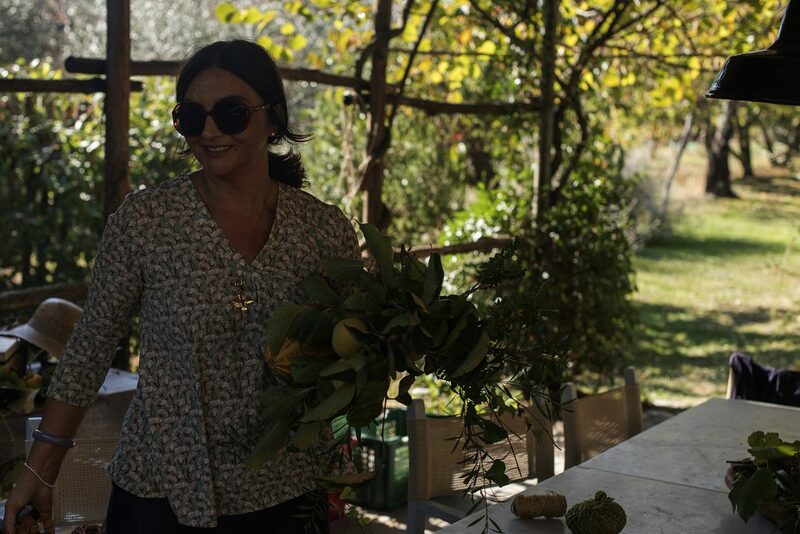 The large garden terrace, typical of the Liguria region, is equipped with a large marble table, chairs, deckchairs and a barbecue to enjoy a good lunch with friends, surrounded by hazelnut, persimmon, pear and apple trees, with walnuts, figs and, of course, olive trees too. 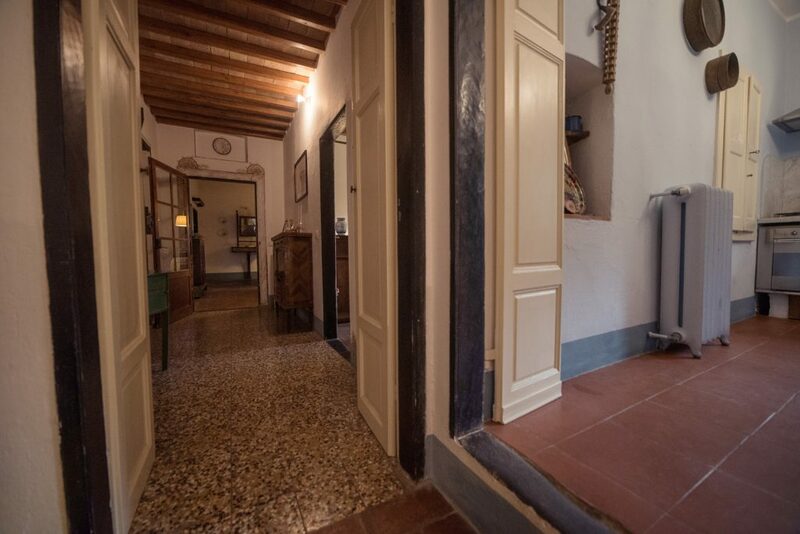 A parking space is also available with the possibility to park in the public parking garage a few meters from Casale Amati. 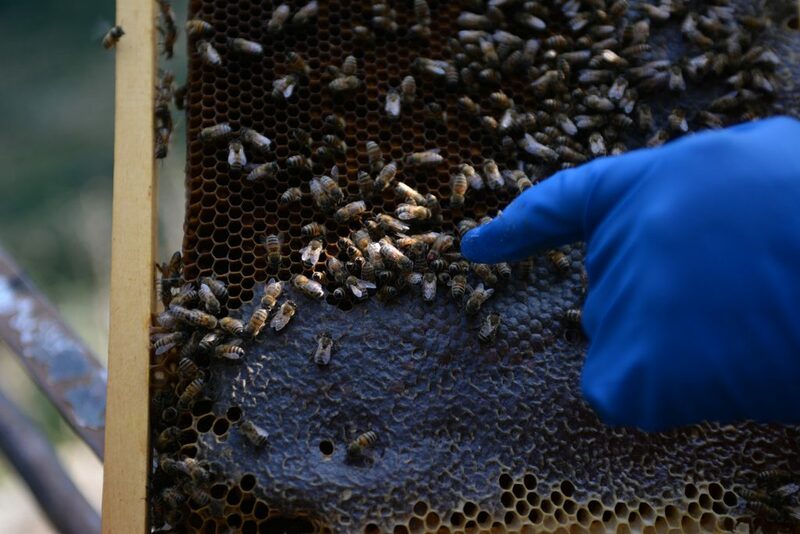 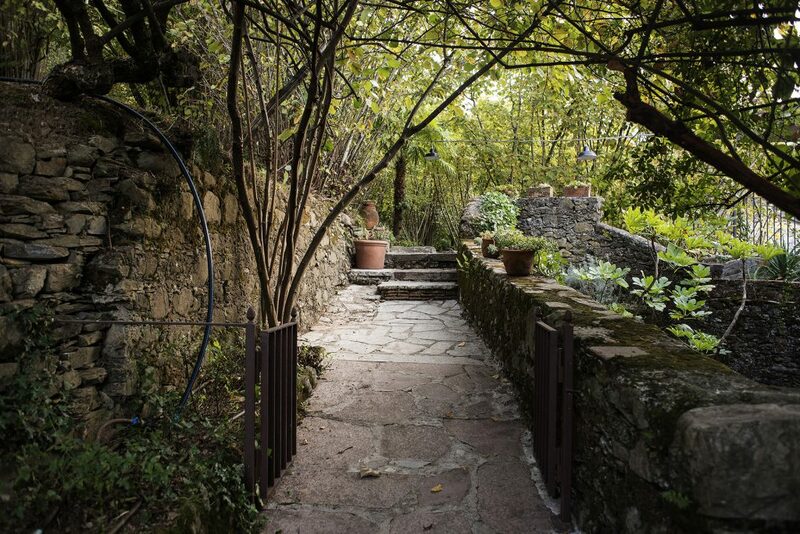 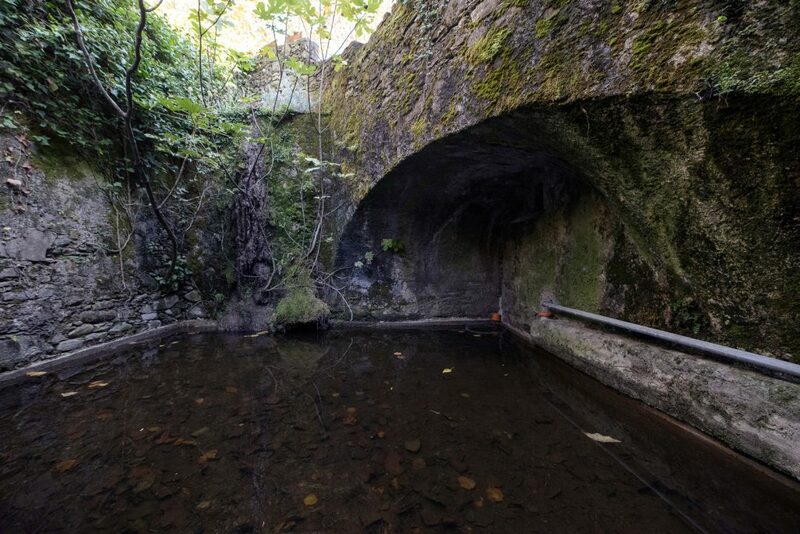 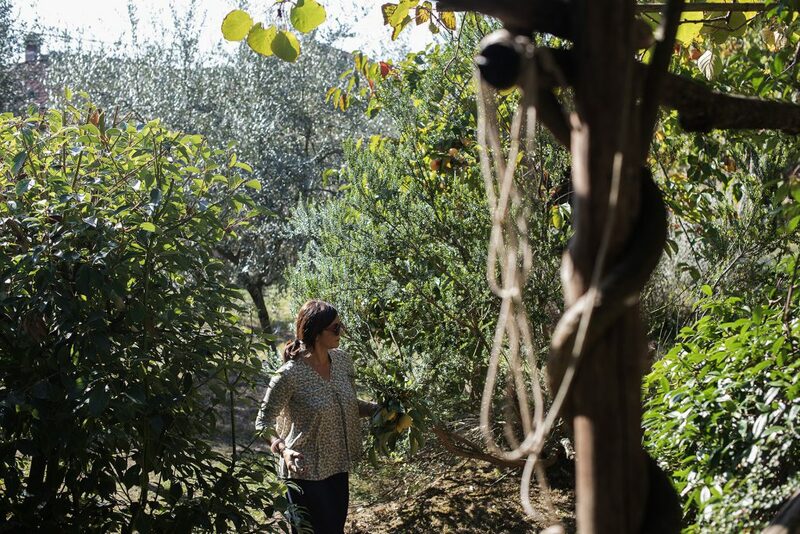 The Casale has its own separate access, you just need to pass through the garden.